It was a tradition in Greek antiquity that warring between states should be put aside for the duration of the Olympic Games, an event held every four years to celebrate athletes who excelled in warrior skills. 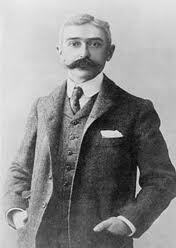 When the games were resurrected by Baron de Coubertin in 1896 they were not considered important enough to warrant such truce between belligerent nations and this resulted not only in the cancellation of the games in 1916, 1940 and 1944 but war-based political events led to the horrendous Munich massacre and the boycotts of 1980 and 84 (yes, they really did happen because of the Russian invasion of Afghanistan). So what, you are all asking yourselves, has all this got to do with Scotland and what is all this about Scottish warfare? Well, perhaps you haven’t noticed but Scotland is involved in two wars on separate fronts. The first exploded on St Valentine’s Day though the flame which caused the final ignition had been smouldering for a very long time prior to this. Yes, civil war broke out in Scotland between Ra’Peepul and the Papal Conspiracy of those who do not abide by the Ibrox Ethos: the latter an unholy alliance of eternal enemies from Ayr, Kilmarnock, Dundee (tangerines and blues), Edinburgh (maroon and green), Dunfermline, Kirkcaldy and Falkirk, to mention but a few, who associated themselves with the Anti-Christ descended from Paradise with the sole intent of killing off the club whose raison d’être is the safeguard of the United Kingdom. The idea that this pillar of British society strove to achieve its aim by hiring expensive foreign mercenaries paid for with money belonging to the public purse and shekels belonging to small businesses around the country will soon be put down to the nonsensical rants of revisionist historians in the face of the truth as revealed by the gospels of Saints Wally, Mark, Ally and Jim. So can we put the seeming recent demise of hostilities down to an Olympic truce? Not really, it’s just down to the start of a new season when you hate your neebur because of the colour of his shirt more than you hate the big bad wolf that’s been gobbling up your flock of sheep for the past few decades. The wolf is now happy living in a zoo where he’s given three meals a day though he’s still eyeing up the rations of the other animals and wouldn’t be agin ripping out an elephant’s throat. As an ex-pat living in France I am totally reliant on what I read on the web to keep up with the second war – Scotland’s War for Independence. Unfortunately this generally means reading the MSM and erudite blogs such as this but in recent months the Sevco debate has dominated proceedings. To make matters worse, I am on a wi-fi network which is having problems connecting to any site remotely connected with the Olympics. As of yet I have not had any luck finding any quotes by our First Minister on medals won by our Scots competitors (I believe we are now involved in 9). Is this due to an Olympic truce or could it be simply that the whole referendum debate has fallen at the worst time imaginable? After the record haul of medals from Beijing 4 years ago we now have a GB team raking in medals by the barrowload. What future for an independent Scotland team? Would we rather take pride in watching Bradley Wiggins and Jessica Ennis taking on the world and placing this tiny insignificant island in third place behind the giants that are America and China or hope that one day we might discover another Chris Hoy who, in spite of a lack of training facilities, might win a bronze medal and put us on a par with countries like Luxembourg? I’m writing this just before the first of Andy Murray’s finals and this may not be published until after the result is known. 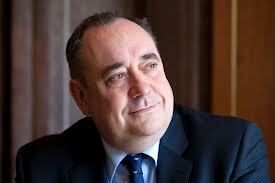 However should he win even one of the golds it may be the final nail in the coffin of Scottish independence hopes. I’ve dreamt of an independent Scotland all my life but have in the past few years come to realise that it is perhaps not the Nirvana we have been looking for. How appropriate it would be that at a time when a club with 140 years of history, renowned for its Unionism but also its bigotry, cheating and tax evasion, finds itself relegated to the depths of ignominy, with perhaps more to follow, that a proud Scot may seal the fate of the referendum with a victory on the greatest weekend ever in the history of United Kingdom sports. I’m proud to be Scottish but I’m also proud to be British (at least until the end of the games). It’s funny but when I saw Murray on the winner’s podium singing the national anthem I thought it was a real death blow for the SNP and the independence referendum. Seems strange but if Team GB had been useless with few medals won then that would have probably have suited the politics of the SNP IMHO. But our athletes have been such a blinding success I think they have managed, in the midst of all the economic gloom, to create a real feel-good factor throughout the UK and also provide a very tangible demonstration of just how strong and successful we can be as one nation when united together in common goals. The whole organisation of the events has been magnificent as well and I have no doubt that there will be a tourist ‘dividend’ for quite a few years as well and hopefully a whole generation of youngsters turned onto the myriad of sports which have excited just about everyone watching. We will have learnt a lot as well for the Commonwealth Games organisation here in Scotland and what a privilege to welcome the many athletes that will be competing here. It’s been hard not to cry along with the athletes at the raw emotions unleashed and before Murray played today I changed my mind about a hundred times whether my nerves could take the strain of watching him or not. Luckily I decided to watch and I know I will carry that match with me till the day I die. I for one am a proud scot and have followed my country to many a backwater, but this week I am extremely proud to be British and have found myself cheering on tennis players, gymnasts, sailors, cyclists, athletes et al and have never once thought about scots, english, welsh and irish, just members of a great team. Magnifique monsieur – bien dit! Scottish independence overthrown by man winning tennis match…bread and circuses! Just for the record I didn’t suggest that Murray or any other tennis player would overthrow ‘Independence’. What I think is likely is that the Murray Factor is quite capable of derailing the SNP’s Independence referendum. It isn’t the man winning the tennis match that overthrows anyone or anything. It is the feel-good factor and its spread that has the power to influence the referendum result although, like the SNP, perhaps I should delay my final judgement until I see what question/s is/are on the referendum ballot slip. Perhaps there will need to be a disclaimer signed before you are issued with a ballot paper along the lines of: ‘Did you see Andy Murray win his Gold Medal’. If you have, you don’t get a referendum vote on the basis that you are unlikely to vote for whatever question variant the SNP actually decides will best ‘engineer’ the result they want, whatever that actually is. However, for the moment let’s all just bask in the brilliant feeling of joy coursing through the United Kingdom before we are inexorably drawn back to the serious economic woes that beset us. The real olympic challenge has been finding something on television to watch and avoiding the olympics. I can only praise the athletes for their wonderful performances but the olympics is not the only thing going on in the world. Only mass murder can manage to squeeze into a news programme filled with olympic footage. I could understand that if there was no other means of getting involved in the action but television has been wall to wall olympics. There are twenty odd BBC channels just doing olympic action and you still have to go to CNN to get some real news. It’s doin’ ma heid in! I’m with you on the wal-to-wall coverage. I think they should have left the 24-hour news channel for just that: NEWS. Fine report the results but cover everything else that happens. Bad misjudgement by BBC who will claim huge viewing figures in justification which isn’t hard to do when there is little or no alternative. Still can’t take away anything from all the athletes taking part and doing their best and I don’t just mean the medal winners + all the support staff and our troops. I read this with interest and agree that sporting success can be hugely influential in raising levels of national pride. This made me ponder the timing of the Scottish Independence referendum – I believe it will take place shortly after the Commonwealth Games in Glasgow? Could this timing be part of Alex Salmond’s Grand Plan? There is no doubt that the success of the British Olympic Team has engendered a feeling of great national pride, even amongst those who ardently believe in an independent Scotland. It is difficult not to be moved by the exceptional exploits of so many athletes, performing on ‘home’ soil, with the backing of a passionate crowd. Indeed, pro-rata, Scots have contributed more to the Team GB medal tally. However, should the Scottish athletes return a similar haul of medals at the 2014 games, winning for Scotland, would this not give us the same patriotic feeling as we have today? A successful Scottish team in 2014 would show that we can hold our own in the sporting world and would certainly raise the levels of national pride. This, I believe, would be very useful for the Natioaslist cause, going into the referendum. I don’t believe the lack of comment from Mr Salmond is part a truce or, indeed, that Andy Murray’s win will dash my hopes of Scottish independence. Timing is everything. Come 2014, we will hopefully see great Scottish success at the Glasgow games. The ensuing feelings of national pride may help to persuade some floating voters to choose independence. Mr Salmond, I imagine, will be aware of this and will, no doubt, be keen to comment Scottish successes, when they can be used for maximum political gain. It is with some sadness that I too thought about David Cameron and all the other unionists in the country having a sly snigger when Andy Murray stood bedecked in the GB colours singing the UK national anthem. I for one never thought I’d see that. It got me thinking whether this was sounding the death knell for independence and what if any, counter was there to the “feel good factor” generated by Team GB. Are we better together?The answer to this is almost certainly yes. Where does this then leave the Scots if we go it alone? Exactly where we are now! Scots have a right to self determination the same as every other nation. Scots athletes perform not for GB but for their own pride, for their own families and for their own nation. To compete in the Olympic games they have no option, regardless of their politics, but to compete for Team GB. They either compete for them or don’t compete. For my sins I am a golfer (of sorts). In September of this year EUROPE will play USA in the Ryder cup. Within that team there will be a smattering of British players and perhaps if the cards fall right Paul Lawrie of Scotland will be competing amongst them. I will sit for the 3 days of competition roaring and shouting at the TV screen for every putt to drop for the European team and I will probably shed a tear if they win in the U.S.
Can anyone forget last time when a Scot – Colin Montgomerie – led them to victory at the Celtic Manor in Wales? Was there a feel good factor? Yes there was. Did the nation rejoice and did the team hog the TV news headlines? Yes they did. Did we all feel European? Aye for all of 10 minutes. Are we all European? In a sense we are because we share common ancestry and histories, good and bad. Are we Scots? That is for certain. Andy Murray is entitled to feel proud yesterday because he has achieved something that no other tennis player will ever achieve. If Roger Federer were to go on to win 10 Wimbledon titles and beat Andy Murray in every one of the next three years finals to achieve that, he will still never have a London 2012 Gold medal. Is the Independence debate harmed by what has gone on this last week? When unionists start to spout London 2012 as a reason why we are better together, ask them this …….. When the Ryder cup is won is that enough reason to be fully fledged Europeans. I like to think the argument over independence is a tad more complicated that feeling good watching some sports. I would tend to agree with you but why therefore do governments try to bribe voters with titbits just weeks before elections? Feelgood factor! What can I say. Well done Andy Murray. he won the gold medal with style, lots of courage and capped it off with a great deal of dignity. I certainly will not read anything into flags or anthems. When it comes time to vote on independence the Scottish people will decide. Lots of things will be hung on the debate, it’s happening now with NATO and will intensify as the election draws nearer. In the case of NATO something is being lost in the debate. If Scotland chooses independence then Scotland can choose to be part of NATO or not. Scotland may choose to be part of NATO then ten years later leave. If that is the will of the Scottish people then so be it. The point is Scotland decides. I hear a great deal about the financial argument. Are we be better of as part of the UK? Some say no, I have no doubt that predictions of financial Armageddon will shortly follow. Well, all of that may strike some of us as being rather familiar. The point of independence is that the Scottish people get to decide what is best for them. Will the Scottish people be better off with independence ? That would be up to the Scottish people. An independent country gets to choose its own agenda, choose its own priorities, choose in fact the measure of it’s success. Sounds to me like something worth voting for. Thank you Paul, not only for taking the time to read these offerings but also for the fantastic additions you make to the postings. Not just great photos but brilliant captions to go along with them. Let’s be serious guys, there is as much chance of the Olympics damaging the YES vote in the Scottish referendum as there is of Scotland winning the World Cup. If anything, the performances of the Scottish athletes has proved beyong doubt that Scotland punches well above its’ weight on the international stage. I suspect most Scots would have much preferred Andy Murray etc. to be singing “Flower of Scotland” on the Olympic podium, rather than some 16th century dirge written to celebrate the defeat of the Jacobite clans at Culloden and glorying in crushing “Rebellious Scots”. Yes, Scotland is punching above its weight but how many of those medals were gained as part of a team with members from other parts of the UK and how many medals would we have won without UK-wide sports facilities like the cycling centre in Manchester? Could we realistically put together a world-beating team at the Olympics without the support of UK finances? If Scotland had gained independence fifty years ago, would Chris Hoy have been refused access to the facilities in Manchester? Surely not! Let’s not forget that Andy Murray trained in Spain because the training facilities in Britain were so poor, but at least he was allowed to train there despite not being Spanish. And what is the reason why the rest of the UK has greater funding for facilities than Scotland, and what would be the reason why an independent Scotland in the future would have less funding? oops moment, 16th century should obviously read as 18th century. Where was Team GB with Scottish input when Scottish companies were awarded 17 out of 3000 contracts for the Olympics? @Bill Fraser. In your last post, you used the terms ‘other parts of the UK’, ‘UK-wide sports’ and ‘UK finances’. The BRITISH OLYMPIC ASSOCIATION did not seem to believe in the same principles when they replied to my enquiry as to why it is called Team GB and not Team UK? Bill, look at other countries, even those smaller than Scotland that compete perfectly well at the games. As Scotland will show at the Commenwealth games, we don’t need anyone else’s help to compete. As someone now living in an Independent country, you should have more faith in your fellow Scot’s ability to govern their own affairs, including sport. Only the wretched unionist movement in Scotland feel we are “uniquely incapable”. increased their vote after hosting the Oylmpics. 2. Supposing you are right that we are too poor, I am sure most Scots would rather we had our own independent team of athletes rather than have them hang on to the coat tails of another country’s athletes. All self respecting Scots ditched the begging bowl mentality years ago.